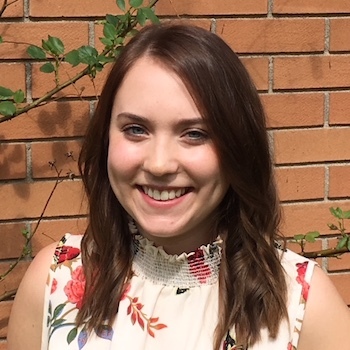 Brianna Hunt, a master’s student in psychology at Wilfrid Laurier University, has been awarded a prestigious Ontario Women’s Health Scholars Award for her research on the impact of gendered Islamophobia on Muslim women in Waterloo Region. Hunt is one of only three master’s students in Ontario to receive the $25,000 award, which is funded by the Ontario government and administered by the Council of Ontario Universities. Halina (Lin) Haag, a Laurier doctoral student in social work, also received the award for her work studying intimate partner violence and brain injury. Through a series of focus groups and interviews, Hunt’s research project will give local Muslim women the opportunity to share their lived experiences of discrimination in their own words. The interviews and discussions will be broad in scope, touching on a range of social issues, including underemployment and education, but health — particularly mental health — is a central focus. The study, the first of its kind to be done in Waterloo Region, is overdue, she says. The region has been a hotbed for hate crimes over the past decade. Between 2014 and 2015, Waterloo Region, which includes Kitchener, Cambridge and Waterloo, had the second-highest increase in hate crime in Canada. According to Statistics Canada, hate crimes most often target people based on racial and religious identity. For her study, Hunt will be working closely with local community organizations, in particular, the Coalition of Muslim Women of Kitchener Waterloo. The coalition aims to build bridges between Muslims and non-Muslims in the region, educate the public, and dispel myths about Islam, while highlighting the power and leadership potential of Muslim women. The coalition was formed in 2010 in response to the proposed bill 94 in Quebec, which required anyone seeking government services in public or government buildings to have their faces uncovered. The controversy surrounding the bill focused on Muslim women, but few Muslim women were given opportunities to speak their side of the debate. Hunt returned to university after several years of working in social service organizations in her home town of Winnipeg. While her study will form her master’s thesis, she will also be writing reports for the Coalition of Muslim Women and other community groups so they can use the results to inform their programming. Study findings will also inform the content of community engagement workshops hosted by the coalition. “Working in the community definitely made me see that if I’m going to do anything in academia, it needs to be relevant to the community and it needs to serve the community,” she says.